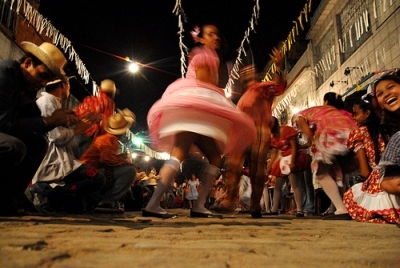 A taste of true Brazilian culture is waiting for you just a short trip from Rio in Minas Gerais. When most people picture Brazil they usually conjure up images of Rio de Janeiro and its many postcard-worthy locations such as Sugar Loaf Mountain and the famous Ipanema and Copacabana beaches. But let’s be honest, these sites are travel-bait, crawling with tourists all year round. In fact, whenever friends or family have visited me in Brazil, we almost always made the trip there. I’m not saying there’s something wrong with wanting to visit Rio — I was personally obsessed with the idea before my first trip to Brazil — however, why stop with Rio when there’s so much more to see just a short trip outside of the city? When my two best friends came to visit me in Brazil last summer, I insisted we beat the Rio scene and take the short trip north into the state of Minas Gerais for an authentic glimpse of Brazil’s rural — or Caipira — culture. It was one of the best times of the year to go; during the months of June and July, all the little towns come alive for the annual celebrations, Festa Junina and Julinha. These parties are far from your average church function. Held in small communities or in the courtyard of Portuguese Colonial churches, these blowouts boast live music from bands playing well into the night. You can try an array of special drinks, including hot chocolate with cognac, or a favorite mixed drink consisting of tropical fruit blended with sweetened condensed milk and vodka or cachaça (sugar-cane alcohol). Tents are full of locals selling seasonal food such as roasted corn and the traditional canjiqua: a warm, sweet concoction, best described as a maize porridge. If you’re staying in Rio, you can take an overnight bus into Minas to the stunningly beautiful city of Ouro Preto. A UNESCO World Heritage Site and former boomtown, the city was settled by the Portuguese back in 1698 and quickly swelled with European fortune-seekers hoping to strike it rich during the region’s gold rush. When my friends and I landed in Ouro Preto early in the morning, the city was covered in a thin mist. We attempted to make our way to our hotel by foot but quickly became lost on the steep, cobblestone roads and dead-end sidewalks (I recommend taking a taxi). Ouro Preto is a popular destination for Brazilians and is full of quaint pousadas (traditional inns) and colonial hotels. 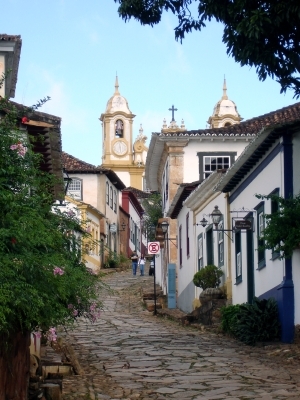 As soon as you head out onto the narrow streets of the town you encounter the uniqueness of Ouro Preto. European architecture is still evident today in the many quaint shop fronts and grandiose churches that are found around nearly every bend. At times it’s almost difficult to believe that you’re in Brazil. You could easily spend days on end exploring the city’s museums and beautiful colonial churches. After several trips doing just that myself, I can recommend the town’s three most famous churches: São Francisco de Assis, Nossa Senhora do Rosário, and Matrix Nossa Senhor do Pilar. Filled with gold-leaf designs and rococo-style paintings, these cathedrals are by far the most ornate and historically important. While in Ouro Preto, it’s easy to partake in some well-loved Minas culture. The region is famous for its fresh cheese and homemade sweets. My favorite is the famous Romeo and Juliet combination: a snack consisting of a combination of salty, fresh Minas cheese and goiabada (a sweet Guava paste). Given its history, it’s no surprise that Ouro Preto is known for its collections of semi-precious stones. My friends were thrilled by all the gem shops found all around town. We must have spent hours trying on fun pieces and bargaining for deals on gemstones. With stomachs rumbling we headed to a buffet-style restaurant — one of the best ways to get a taste of the wide variety of Minas delicacies. We dug into the farofa, a mix of sautéed vegetables with little pieces of meat and manioc flour; sautéed squash and couve (a dark leafy veggie); traditional rice and garlic-infused beans; as well as various cuts of pork, chicken and beef. From Ouro Preto there are several day trips possible, including Lavras Novas, a picturesque small town situated on the ridge of a hill and home to only about a thousand people. Once almost entirely ignored by outsiders, Lavra Novas has become a popular destination for adventure seekers and is frequented by university students and families from nearby Ouro Preto, especially during the holidays. The first time I landed in Lavras Novas the village was a veritable ghost town, not unusual for the middle of the week. Bring your hiking shoes to explore though, the town literally dead ends at a trailhead. From the beginning of the trail, you can weave in and out of the nearby lush forests and go in search for the town’s famous waterfalls. A 40-minute bus ride down the highway or a train ride through the mountains from Ouro Preto is colonial Mariana, the oldest town in Minas Gerais. The rickety train trip is a worthy splurge, but for those looking to save some money, the bus is a cheaper option. The train lets you off in the village center, close to the churches and colonial buildings. After you’re done taking in this fabulous little town and a eating a big churrascaria meal for lunch, you can catch the bus to Minas do Ouro. Located on the edge of town, this gold mine is one of the largest in Minas’s history. Now closed to mining, the mine is open for visitors who can take a ride in a cart down into the depths of the enormous mine and, incredibly, go scuba diving in the underground rivers. These are just a few of the many options in Minas. 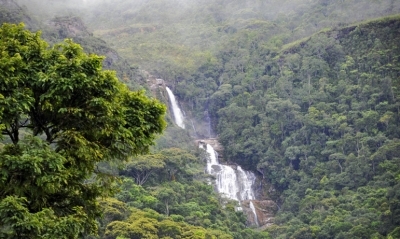 For the more adventurous travelers, head south to Parque Estadual da Serra do Brigadeiro, a state park with astoundingly green and lush hills. Along the road are plenty of small towns, but you’ll mostly pass by communities of grouped houses and coffee fields. I’ve met many backpackers that found their way to these small communities, and most told me that they came away with some of their best memories of Brazil from these trips. I myself caught the Minas bug after visiting and ended up living on a farm for five months in a rural community. Who ever knew that the rural, caipira culture could have such allure? For more information on Minas experiences and travel advice visit Lindsey’s blog.